Law Web: What is basic concept of good defence in summary suit? Under Rule 6 of Chapter XIIIA of the Original Side Rules of this Court, upon an application of the plaintiff made under Rule 3 for final judgment for recovery of the suit premises on the ground that there is no defence against the claim of plaintiff, the Judge may - unless (emphasis supplied) the defendant by affidavit or otherwise as the Judge may direct for the purpose of satisfying himself that the defendant has a good defence to the claim on merits or disclose such facts as may be deemed sufficient to entitle him to defend - make an order refusing leave to defend and forthwith pronounce judgment in favour of the plaintiff. 10. In our opinion, the scheme of said Rule makes it clear that it is an exception to the general procedure to allow a defendant to defend himself against a plaintiff's claim. As such, the matter of granting leave or refusal of granting leave to defend should be decided first - that too, supported with cogent reasons - before the Court proceeds to pronounce a judgment on the merits of the case in an application under Chapter XIIIA of the Original Side Rules. In the impugned judgment, the First Court has made elaborate discussions on merits of the case without, at first, coming to any clear finding as to why the Court was satisfied that the defendant had no good defence to the plaintiff's claim on its merit. It is a vital omission. Such omission may destroy a valuable right of a defendant to adequately defend himself, causing prejudice to him. Simply by observing to the effect that the defence is sham or illusory or frivolous or bogus or moonshine or unconvincing (which is not even the case here) is not enough. It must be supported with cogent reasons as to why the Court considers the defence to be either sham or illusory or frivolous or bogus or moonshine or unconvincing. A matter under Chapter XIIIA of the Original Side Rules is always an exception to the general rule of procedure governing adjudication of civil disputes and requires to be considered only in a summary manner based on the statements made by the respective parties on oath. Scrutinizing controverted documents, which are yet to be tendered as evidence and thereafter analysing them in the backdrop of statements made by the respective parties while adjudicating an application under Chapter XIIIA of the Original Side Rules of this Court will tantamount to usurping the general rule of procedure governing adjudication of civil disputes. Consideration of documents as evidence is a matter of trial. We may observe at this stage that a good defence does not necessarily mean that it shall always translate into defeating the claim of the plaintiff. However, such defence must not be sham or illusory or frivolous or bogus or moonshine. Such defence should be convincing to the Judge to the extent that the same reflects an arguable case made out by the defendant against the plaintiff's claim for the suit to ultimately proceed for trial. When necessity of trial can be palpably felt by the Judge while adjudicating an application under Chapter XIIIA of the Original Side Rules, there shall not be any refusal to the defendant of an opportunity to defend himself against the plaintiff's claim. At the same time, it must also be borne in mind by the parties that they may not dare to file a false affidavit on oath in a proceeding under Chapter XIIIA, on pain of shouldering penal consequences, which can also tantamount to abuse of process of Court. "Leave is declined where the Court is of the opinion that the grant of leave would merely enable the defendant to prolong the litigation by raising untenable and frivolous defences. The test is to see whether the defence raises a real issue and not a sham one, in the sense that if the facts alleged by the defendant are established there would be a good or even a plausible defence on those facts. If the Court is satisfied about that leave must be given. If there is a triable issue in the sense that there is a fair dispute to be tried as to the meaning of a document on which the claim is based or uncertainty as to the amount actually due or where the alleged facts are of such a nature as to entitle the defendant to interrogate the plaintiff or to cross-examine his witnesses leave should not be denied. Where also, the defendant shows that even on a fair probability he has a bona fide defence, he ought to have leave. Summary judgments under Order 37 should not be granted where serious conflict as to matter of fact or where any difficulty on issues as to law arises. The Court should not reject the defence of the defendant merely because of its inherent implausibility or its inconsistency." Apollo Zipper India Limited and Ors. Biswanath Somadder and Sankar Acharyya, JJ. 1. On 06.06.2012 the plaintiff/respondent No. 1 as owner of suit premises filed a civil suit, being C.S. 201 of 2012, for eviction of the tenant, being the defendant/appellant before us, from the suit premises with prayers for recovery of arrear rent and mesne profit while claiming service of notice to quit upon the defendant prior to filing of the said suit. 2. On 22.08.2012, the defendant/appellant entered appearance in that suit after receiving Master's summons and expressed intention to file a written statement. On 31.08.2012, the defendant filed an application, being G.A. No. 2427 of 2012, which was affirmed on 29.08.2012, for extension of time to file the written statement. After receiving the notice of motion in respect of that application, the plaintiff/respondent No. 1 filed G.A. 2408 of 2012 affirmed by an affidavit on 31.08.2012 for passing of a final judgment under Chapter XIIIA of the Original Side Rules of this High Court in favour of the plaintiff for a summary decree for recovery of vacant possession in the suit premises. Defendant/appellant filed affidavit-in-opposition dated 20.11.2012 to the said application of plaintiff/respondent challenging the material allegations of plaintiff/respondent No. 1 and dealing with all matters of fact specifically. 3. Succinctly stated, the plaintiff's case is that the suit premises at 18, Hemanta Basu Sarani, belonged to Great Eastern Hotel and the defendant was monthly tenant therein. The State of West Bengal acquired the property by legislative enactment and it vested in the State. Subsequently, by successive legislations and Government notifications, the property ultimately vested in the plaintiff company with effect from 05.10.2005. Defendant failed to pay monthly rent at the rate of Rs. 40,000/-. Plaintiff served notice dated 17.05.2012 upon the defendant determining the tenancy, but the defendant did not vacate the suit premises even after expiry of notice period. 4. The defendant, in the affidavit-in-opposition to G.A. 2408 of 2012 denied the plaintiff's case. The defendant, inter alia, challenged the pecuniary jurisdiction of the Court, locus standi of the plaintiff to file the suit, plaintiff's acquisition of ownership in the suit premises and plaintiff's claim of monthly rent as Rs. 40,000/-. 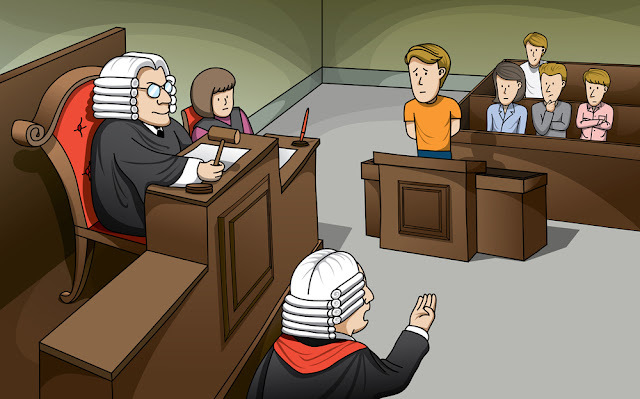 Specific defence of the defendant is that the monthly rate of rent is Rs. 1,600/- in respect of the suit premises and since the suit premises was badly damaged for want of maintenance in 2003, there was an understanding between Great Eastern Hotel and defendant for payment of Rs. 38,400/- per month as maintenance charge in respect of the suit premises by the defendant to Great Eastern Hotel in addition to the monthly rent of Rs. 1600/-. By a letter dated 28.04.2006, the defendant/appellant was informed by M/s. Khaitan & Co. that Bharat Hotel Limited has become the absolute and exclusive owner of the suit premises by transfer. Both the respondents including the plaintiff of C.S. 201 of 2012 had jointly filed C.S. 53 of 2007 claiming their right, title and interest in the suit premises against the defendant praying for declaration and consequential reliefs alleging, inter alia, termination of defendant's tenancy right on acquisition of suit premises by the State of West Bengal in 1980. During pendency of said suit, plaintiff/respondent No. 1 alone served notice under section 106 of the Transfer of Property Act and filed C.S. 201 of 2012. On 23.06.2014, the said C.S. 53 of 2007 was dismissed for default. It is also the contention of the defendant/appellant that after the plaintiff company became a Government company, transfer of the suit premises, if any, as alleged in the plaint, is a transfer by the State Government to a Government company, which tantamounts to transfer by the State of West Bengal to the State of West Bengal and therefore, not lawful. Defendant/appellant contended that the State of West Bengal and Bharat Hotel Limited are necessary parties to the suit for ascertaining the rightful ownership in the suit premises. Therefore, the notice under section 106 of the Transfer of Property Act is not legal and consequently G.A. 1208 of 2012 and C.S. 201 of 2012 are liable to be dismissed. 5. It appears from the impugned judgment that the learned senior counsel for both the parties exhaustively argued the case of their respective clients. 6. In this appeal also, the learned counsel for both the parties argued at length covering all points of facts and law. Mr. Pratap Chatterjee, learned senior counsel - with his sagacity - strenuously argued that the matters of fact, as stated in the defendant's affidavit-in-opposition against plaintiff's claim of eviction of tenant, sufficiently establishes a good defence to prove that the notice under section 106 of the Transfer of Property Act - which is the basis of the suit for eviction - was not legal. "In view of the order passed in G.A. 2408 of 2012 the defendant shall be permitted to file written statement only with regard to the claim on account of arrear rents as claimed in para 39 of the plaint and mesne profits and/or damages. This application being G.A. No. 2427 of 2012 stands disposed of. However, there shall be no order as to costs. Urgent xerox certified copy of this judgment, if applied for, be given to the parties on usual undertaking". 8. Having gone through the impugned judgment and aforesaid order it appears to us that the First Court has delivered the judgment in favour of plaintiff so far as regards the part of claim for eviction of tenant from the suit premises is concerned and has granted unconditional leave in favour of defendant to defend against the plaintiff's claim of arrear rent and mesne profit for occupying the suit premises. Impliedly, defendant's prayer for leave to defend the plaintiff's claim for eviction of tenant has been denied by the First Court. 9. Under Rule 6 of Chapter XIIIA of the Original Side Rules of this Court, upon an application of the plaintiff made under Rule 3 for final judgment for recovery of the suit premises on the ground that there is no defence against the claim of plaintiff, the Judge may - unless (emphasis supplied) the defendant by affidavit or otherwise as the Judge may direct for the purpose of satisfying himself that the defendant has a good defence to the claim on merits or disclose such facts as may be deemed sufficient to entitle him to defend - make an order refusing leave to defend and forthwith pronounce judgment in favour of the plaintiff. 12. In the instant suit some undisputed facts are that the defendant/appellant company is in occupation of the suit premises for about 100 years. For want of proper maintenance, the suit premises has been damaged. The defendant/appellant used to pay Rs. 1600/- only as monthly rent for the suit premises. Subsequently it started making payment of Rs. 40,000/- per month. The plaintiff/respondent No. 1 together with respondent No. 2 jointly filed Civil Suit No. 53 of 2007 in this High Court against the defendant/appellant - claiming themselves as owners of the suit premises. The plaintiff/respondent No. 1, before institution of the suit, being C.S. 201/2012, (wherein the impugned judgment under Chapter XIIIA was passed) served a notice to quit upon the defendant/appellant claiming that the plaintiff is the sole owner of the suit premises even when C.S. 53 of 2007 remained pending. Plaintiff claimed that the rate of monthly rent is Rs. 40,000/- while the defendant claimed that he paid monthly rent @ Rs. 1600/- and maintenance charge of Rs. 38,400/- per month for the dilapidated suit premises. Referring to C.S. 53 of 2007, the defendant/appellant sent a letter for knowing the rightful owner of the suit premises with intention to make payment of rent. Since at the same time, the plaintiff claimed in C.S. 53 of 2007 that he alongwith respondent No. 2 in the instant appeal are joint owners of the suit premises and in C.S. 201 of 2012, the plaintiff alone claimed that he is the exclusive owner of the suit premises, we cannot form an absolute opinion, at this stage, that the defendant has raised unconvincing or untenable or frivolous defence or it is a sham or an illusory issue which may enable the defendant to prolong the litigation even when speedy disposal of litigations is the crying need in our country. 13. Therefore, without going to trial it cannot be said that the defendant/appellant has no defence against plaintiff's locus standi to file the suit claiming exclusive ownership in respect of the suit premises and for charging rate of rent @ Rs. 40,000/- per month and in respect of service of notice to quit. This is inextricably linked to the plaintiff's claims of arrear rent and mesne profit also in respect of which the First Court has granted leave in favour of the defendant to defend while passing order in G.A. 2427 of 2012. The above observation is being made by us as the instant appeal is continuation of C.S. 201 of 2012. 14. In the light of what has been stated by us in the foregoing paragraphs, we are satisfied that the defendant has a good defence to the plaintiff's claim in C.S. 201 of 2012 and is, therefore, entitled to defend the suit, unconditionally. We, however, refrain ourselves from entering into any further discussion, lest it would affect adjudication of the suit on its own merit. 15. The impugned judgment dated 14.10.2015 passed by learned Single Judge is, therefore, set aside. The defendant is entitled to defend the whole claim of the plaintiff in C.S. 201 of 2012 unconditionally and leave is granted accordingly. 16. It is made clear that observations made in this judgment shall have no impact in respect of the trial or final disposal of the suit in accordance with law. Deposit of money, if any, made by the plaintiff pursuant to any order passed earlier in the instant appeal shall be governed by the final result of the suit. 17. The appeal stands allowed accordingly. 19. Urgent photostat certified copy of this judgment and order, if applied for, be supplied to the parties on priority basis.